Everyone, regardless of age and upbringing, can become a recycling advocate. By making the right choices and adapting our lifestyles, we can all help make NZ waste-free and sustainable. 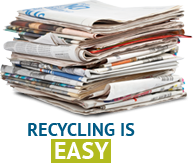 View and access some cool information and tests to help our future generation become recycling experts. We can all make a difference to the way we select, and then dispose of, recyclable waste. Many people strive to live wihout the need to generate waste for landfills, could this be you? Businesses can generate large volumes of waste, policies and procedures help avoid this going to landfills.